highways.It is like a pit stop where everyone and I mean everyone who is travelling long distances, stops to rest & rejuvenate. 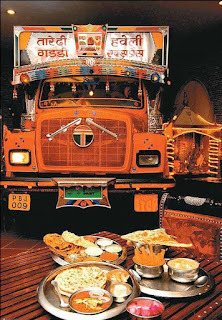 Trucks, trailers, tourist buses, cars, bullock carts, scooters, bicycles…and just anyone who is travelling long distances, will stop at a dhaba to either grab a bite, clean their wind screens, feed the bullocks or a more recent trend is going for an outing with family & friends. place, but BYOE (bring your own everything) kind of place. You can eat, sleep, shower, drink and clean your vehicles here at no charge, the only thing you pay for is the fresh hot food served in no time.As a kid we traveled a lot.I get my travel bug from Dad, who used to take us on holidays all the time. Oh and he used to do it just before school would re-open…lol..Yes we often missed the first day of school because all our travel plans used to be towards the end of school holidays. The reason being Dad's business was such that he needed to be around during the holidays and as soon as monsoons arrived, his work load would ease off, which always worked out for my brother & I :).So during the holidays we would be at our granny’s place visiting cousins & friends, and then go on an actual family vacation.And to add to the excitement, we always traveled by road(Dad had the best car collection ever),traveled long distances, traveled late & often had to break at a dhaba. 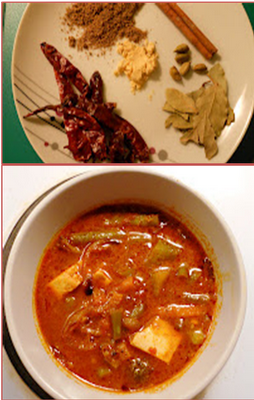 Dhaba is a north India concept that has been adapted in all parts & cuisines of India. 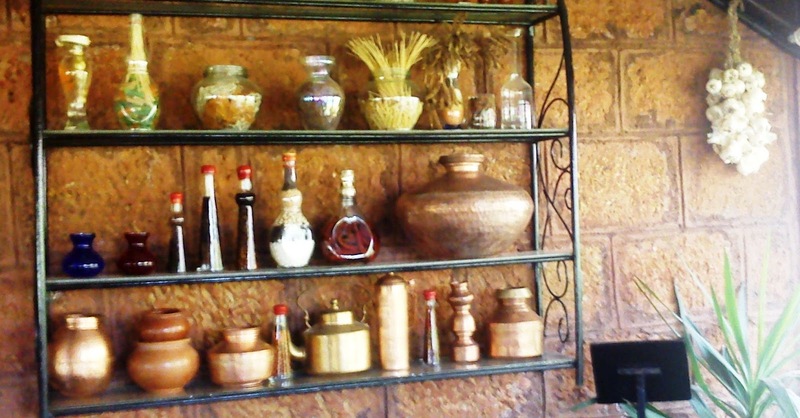 To me a real dhaba is a cottage, with clay or brick walls a tiled roof surrounded by wheat farms or trees, with a well in the backyard and a traditional cot or “khat” (which is a bed frame made with bamboos & lined with a rope to form the seat). A wooden log laid across it formed the table & after you are done eating, you take off the log and you have nice bed for relaxing those sore muscles. No dhaba is complete without a tandoor….yes tandoori roti, tandoori chicken; kebabs have all originated from these roadside low maintenance restaurants, and to enjoy the real flavours of north Indian cooking you have to at least once in your lifetime eat at a “dhaba”. Although the dhaba’s are getting remodelled now, using paper cups & gas burners to cook the food there are quite a few places in north India en route to Shimla, Himachal Pradesh or in south India en route Ooty, Coorg or Madhya Pradesh, that serve you authentic dhaba style food cooked in mustard oil served with tandoori roti’s that are baked in a clay tandoor. I love all dhaba food, right from masala chai served in the most hygienically questionable glasses to the dal makhani, that a nutritionist would never approve. My next recipe is a my all time favorite dhaba snack "Chana Dry". Simply put, chana dry is boiled garbanzo beans toasted in oil and sprinkled with some spices,chopped onion, coriander and sometimes tomato. I call it my Zen moment, the first mouthful of chana dry along with the first sip of that cold thumps up in a glass bottle :) on a beautiful chilly night. It’s been a long time since I visited a dhaba & I always crave for my chana dry. So one fine day I decided to experiment with the recipe and it worked!! If you are anything like me, I think you will enjoy this as much as I do. Of course it tastes much better on a cold night, in the middle of an exotic locale along with family & friends sitting around a bonfire, relaxing before hitting the road again. 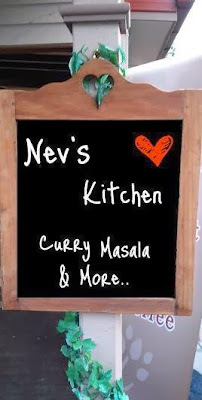 Enjoy & keep sharing good food form Nev's Kitchen straight form the heart! I like dhaba khana a lot. They have different tasty tasty as compared to other restaurants. 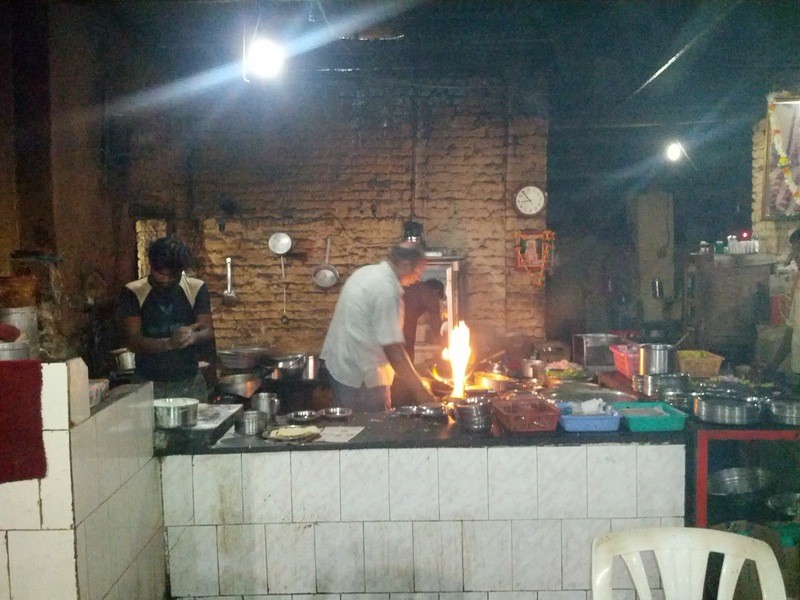 Yes Rajiv it is one of the most authentic food joints for North indian food in my opinion. Glad you enjoyed our post.